G&S Supply carries a full selection of Atlas gloves. These gloves combine excellent grip, oil and abrasion resistance with style, comfort and fit. Ideal for construction, agriculture, roadwork, roofing, shipping and receiving, automotive work, general maintenance, or similar applications. Showa Best Glove is global manufacturing powerhouse in the hand protection industry. With U.S. headquarters and extensive research and development operations in Menlo, Georgia, and manufacturing and sales operations in the United States, Canada, Central and South America, Europe, Africa, Asia and the Pacific Rim, the company manufactures more than 1800 individual glove choices, including ATLAS, in a variety of styles for use primarily in the construction, industrial, automotive, healthcare, retail and commercial fishing industries. Customers enjoy best-in-class technology, a comprehensive performance-first hand protection portfolio, extensive channel coverage, and global production facilities - all offered by a team that is committed to the world's highest quality hand protection and customer service. 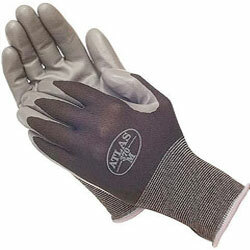 G&S Supply carries a full selection of Atlas palm coated gloves. These gloves combine excellent grip, oil and abrasion resistance with style, comfort and fit. Ideal for construction, agriculture, roadwork, roofing, shipping and receiving, automotive work, general maintenance, or similar applications. G&S Supply carries Atlas lightweight, palm-dipped gloves. Features seamless nylon liners that allow exceptional breathability and all-day comfort. The thin polyurethane palm coating offers tremendous dexterity and breathability, while the nitrile palm coating fits like a second skin and has the strength needed for aggressive projects. 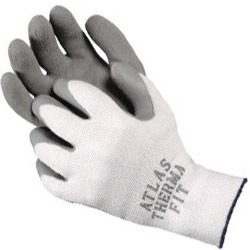 Atlas Therma Fit glove offers a cotton/polyester napped knit shell that provides a cushion of air to protect hands from cold applications. Natural rubber coating on palm and fingertips offers excellent abrasion resistance. 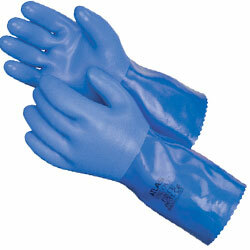 G&S Supply offers Atlas durable heavyweight PVC gloves in double, triple and full dipped. Strong, yet extremely soft and flexible, these gloves feature a soft warm lining. The rough textured coating ensures grip and increases the gloves abrasion resistance and durability. 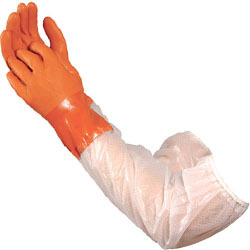 The gloves are also oil resistant and chemical resistant. 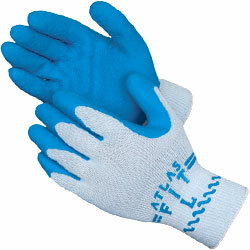 G&S Supply offers specialty gloves by Atlas. Chemical resistant PVC fully coated double dipped, with vinyl or extended sleeves. Seamless knitted liner, 23 - 26 inch length, orange, rough finish. Everything you need to keep clean and dry past your elbows.